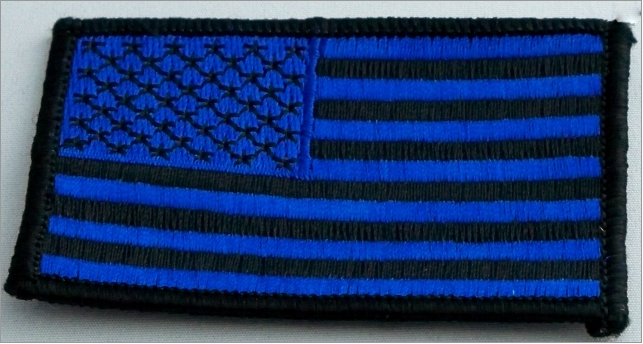 Thin Blue Line American Flag Patch measures 2" x 3". Show your support for the police force with this patch on a jacket, hat or bag. Regular Size Patches | Police & Fire Dept.